Three daughters and their husbands are pulled into a tangle of love, jealousy, and fear when their father, Larry Cook, grows too old to manage the family's fertile thousand-acre farm. As each couple struggles with their own tragedies and challenges, they know their father is judging them in light of the weighty inheritance that hovers within their reach. Assembling a composite portrait of these two warring leviathans and the terrible age they defined, the narrative intertwines experiences both real and fictional: a young German who joins the SS to expose its crimes, two generals who collaborate with the enemy for different reasons, the Soviet composer Dmitri Shostakovich laboring under Stalinist oppression. 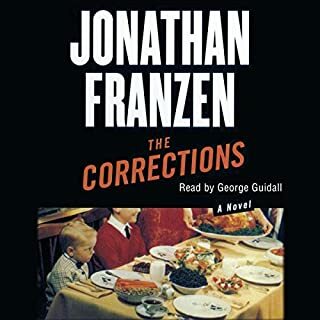 The Corrections is a grandly entertaining novel for the new century--a comic, tragic masterpiece about a family breaking down in an age of easy fixes. After almost 50 years as a wife and mother, Enid Lambert is ready to have some fun. Unfortunately, her husband, Alfred, is losing his sanity to Parkinson's disease, and their children have long since flown the family nest to the catastrophes of their own lives. Enid has set her heart on an elusive goal: bringing her family together for one last Christmas at home. Philip Roth presents a vivid portrait of an innocent man being swept away by a current of conflict and violence in his own backyard - a story that is as much about loving America as it is hating it. Seymour "Swede" Levov, a legendary high school athlete, a devoted family man, a hard worker, and the prosperous heir of his father's Newark glove factory comes of age in thriving, triumphant postwar America. But everything he loves is lost when the country begins to run amok in the turbulent 1960s. Not even a most private, well-intentioned citizen, it seems, gets to sidestep the sweep of history. American Pastoral is the story of a fortunate American's rise and fall ... a strong, confident man, a master of social equilibrium, overwhelmed by the forces of social disorder. For the Swede is not allowed to stay forever blissful living out life in rural Old Rimrock in his 170 year-old stone farmhouse with his pretty wife (his college sweetheart and Miss New Jersey of 1949) and his lively albeit precocious daughter, the apple of his eye ... that is until she grows up to become a revolutionary terrorist. In a London Pub called The Coach and Horses, four men gather. Three of them have been friends for half a lifetime, having fought in the same war, drunk in the same pubs, and bet on the same horses. Now they have come together to deliver the ashes of a fifth man, Jack Dodds, to the sea. 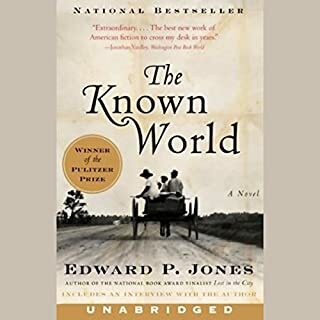 Their journey, which will take them deep into their collective and individual pasts, lies at the center of an astonishingly moving novel of friendship, memory, and fate. Ned Kelly's name resonates in Australia the same way the name Jesse James does in America. Was he a crusading folk hero or murderous horse thief and bank robber? Who was the real Ned Kelly? As the impoverished son of an Irish convict, Kelly was cheated, lied to, and abused by the English. Committed to fighting back against oppression, Kelly and his gang of outlaws eluded police for nearly two years. At 36, Quoyle, a third-rate newspaperman, is wrenched violently out of his workaday life when his two-timing wife gets her just desserts. He retreats with his two daughters to his ancestral home on the starkly beautiful Newfoundland coast, where a rich cast of local characters all play a part in Quoyle's struggle to reclaim his life. As three generations of his family cobble up new lives, Quoyle confronts his private demons - and the unpredictable forces of nature and society - and begins to see the possibility of love without pain or misery. Claude Wheeler resembles the youngest son of an American fairy tale. His fortune is ready-made for him, but he refuses to settle for it. Alienated from his crass father and pious mother, all but rejected by a wife who reserves her ardor for missionary work, and dissatisfied with farming, Claude is an idealist without an ideal to cling to. It is only when his country enters the First World War that Claude finds what he has been searching for all his life. Hailed as a major American novel, Independence Day is a relentlessly thoughtful, heart-wrenching, yet hilarious portrait of an ordinary American man. Wickedly realistic details and dialog entice you to see modern life filtered through the first-person narrator's complex and evolving consciousness. Apparently directionless since his divorce, Frank Bascombe migrates from one non-committal relationship to another. He freely indulges his tendencies to self absorption, over-intellectualization, and neurotic ambivalence. But all of that changes one fateful Fourth of July weekend, when, armed with the Declaration of Independence, he embarks on a mission to save his troubled teenaged son. 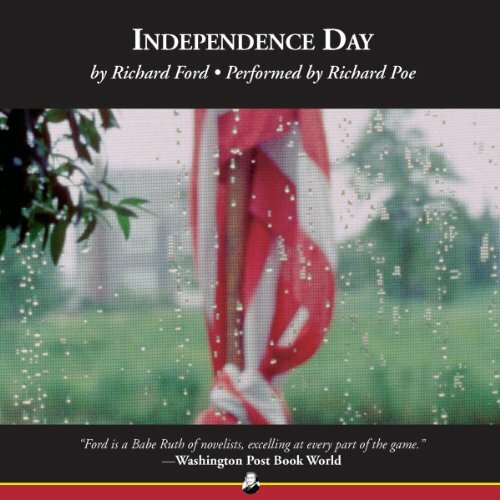 Another great book from Richard Ford. Every one in the Frank Bascombe series is excellent. I don't understand how every review is not 4-5 stars. If I'm not mistaken it won the Pulitzer Prize and the PEN-Faulkner Award. 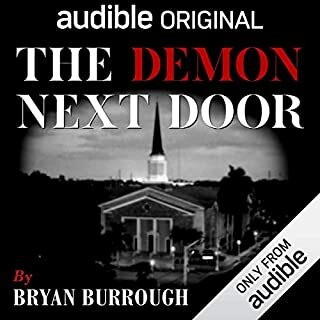 Richard Poe's narration is excellent too. 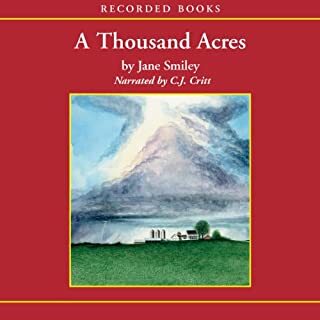 This is the kind of reading voice that makes audiobooks a uniquely pleasurable and enriching art form. A great piece of writing enhanced by an exceptional reader. 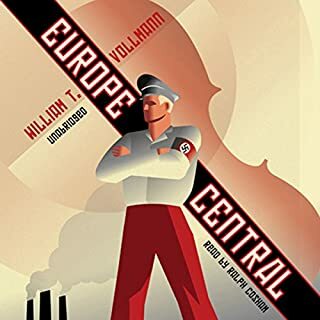 After reading "Canada" I downloaded this book. This was very different in style. I did enjoy it but found it repetitive and overly long. Read this book if you want to understand how middle-aged, introspective, divorced men find beauty and the will to go on despite the common man's worty and mundane existence. Do not read this book if you're not willing to tolerate the narrative passing through as many hours as the recording is long (or nearly). I loved every minute of it. The voice and language are works of true artistry and the narrator is incredible. I’ve nursed a theory for some time that it should be possible to define a category of ethnic literature around the WASP experience. We’ve done a lot to theorize African-American or Jewish-American literature, and we have given a lot of critical attention to the Fitzgerald-John O’Hara-Updike-Carver school of authors, but I don’t think we’ve thought of them as an ethnic group. They’ve been the “American” school against which other, accented figures get contrasted. I say all of that because, if I ever decide to prove that point, I can’t think of a better novel to focus on than this one. It’s excellently written, but I feel like uttering an “of course” when I say that. Ford is a master stylist, and – though I don’t hear it as much as I guess I’d expect to – Frank Bascomb is the clear heir to Rabbit. I admire Updike as an understated stylist (and also, in his Bech books, as an over-the-top stylist) and I think Ford can stand right next to him. If writers were law firms where talented senior partners brought in talented junior partners in their same mold, I can see doing business with Updike and Ford, and I intend it as a compliment to both. Instead, what I take from this novel is less its acute exploration of mid-life self-recrimination and more the degree to which it asserts one man’s experience of life’s challenges as metonymy for a larger national reimagining. Take away the deep literary skill in play – which is, of course, the reason to read the novel in the first place – and this is all about a man who realizes he faces a reckoning as a father and as a numbed soul as ‘independence day” approaches. He takes his son on a road trip to the various sports halls of fame, to places against which all of us fall short, and he insists his son read Emerson along the way. It’s a mini-crisis, or an extension of the greater crisis, that young Paul can’t seem to find any use for Emerson except – right before the accident that resets the parameters of Frank’s life – to tear the pages out of the book. And it’s partial evidence of Frank’s moving past his “existence period” that he can begin to imagine Paul reading Emerson more carefully, that he can imagine Paul coming into his American birthright. Once you look for such evidence, it’s plentiful and generally unsubtle. Even the epilogue portion of the novel deals with the ebbing of Thomas Jefferson and John Adams’s influence, on Frank’s casual insistence that he not only hasn’t forgotten them but that he thinks of them with a kind of intensity that surprises the neighbor-friend who brings the subject up himself. All in all, Frank is ineffectively seeking his personal independence against the backdrop of the country’s uncertain stagger in that direction as well. The novel takes place in the months before the Dukakis/George H. Bush election which, though that feels like an achingly innocent political choice, looks to Frank like a choice between a liberal figure who’s mostly surface against a generally selfish and unreflective conservatism. (Again, that makes the book feel downright naïve next to what we see in the current administration.) Frank retains his strength and his ideals, but he has little he can apply that strength to and he has almost no sense of how to pursue those ideals. I can see a case where someone might say that we’ve heard enough from privileged white men who can’t figure out what to do with the good fortune of their birthright. To that I’d say, first, there should always be room for voices of this excellence. The context of this one has changed enough that, where it might have been a contender for great American novel status 20 years ago, I think it’s probably worth downgrading it to really-good-American novel today. 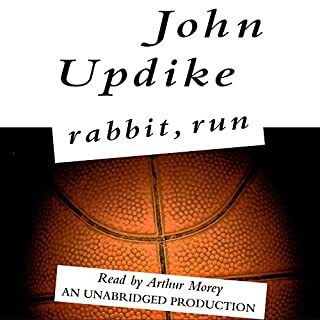 But still, this is a novel as excellent as what Updike was doing, and that’s a rare enough fruit that have to care about it if we’re going to care about literature at all. I’d say as well, though, and this takes me back to where I began, that Ford isn’t insisting that we see his story as the only American story. Everyone who attempts what my old professor Julia Stern taught me to call auto-American-biography has license to put him or herself forward as representatively American. As readers, we need to see not just the soloist but the entire choir that emerges. If we set this work alongside the other excellent work of its era – alongside the best of Philip Roth or Toni Morrison – we can begin to see it in a light that continues to do it justice. There’s white privilege at the heart of this, and there’s a thoughtful sense of diminishment (or dissipation) that, in the unthinking hands of Trumpdom is appalling. But at bottom, this is a story of someone who wants the greatness that this country promised. If we grant him the standing to represent a larger group around him, if we allow him to stand as “ethnic” in the sense of representing a particular group experience in the coming together of America, then I think his voice has a clearer place. Really irritated with the conservative and religion bashing. Definitely not my kind of book. A waste of 20 hours. Completely pointless. Sending back. oh my god, the most boring book ever. a waste of time, should have returned it. Excellent writing of Frank's unfortunately dreary, consistently depressing inner monologue. My main issue, however, is that the writer seems to be attributing one voice or at least one speaking style to many of the characters. Couldn't have been much competition for the Pulitzer that year. I don't see what it made it worthy. This is the most mindblowing piece of drivel I ever tried to listen to. Save yourself the experience. I guarantee it won't be a good one. I loved the ability to capture a common man and bring him through his typical American life in such an articulate and emotional manner. I would never dream of spending pages on seemingly endless monotonous activity with such a riveting style. I had trouble taking breaks from the flow of the narrative and narrator. Superb.